We're gearing up for Jordan Peele's Us by walking through the films Peele gave to the cast of Us to watch in preparation for making the movie. First up is 1991's Dead Again and the guys from Saw Something Scary are here to give you all you need to know about this one. Sidebar: Aquaman - Yay or Nay? Sidebar: Derik saw Vice and thinks its pretty scary. 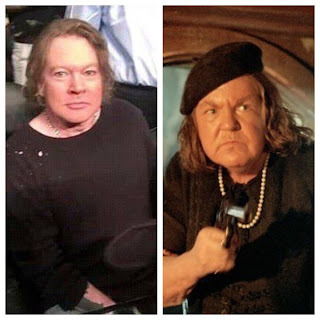 Sidebar: Check out Axl Rose cosplaying as the gangster mom from Goonies (below the podcast art at the bottom of these notes).